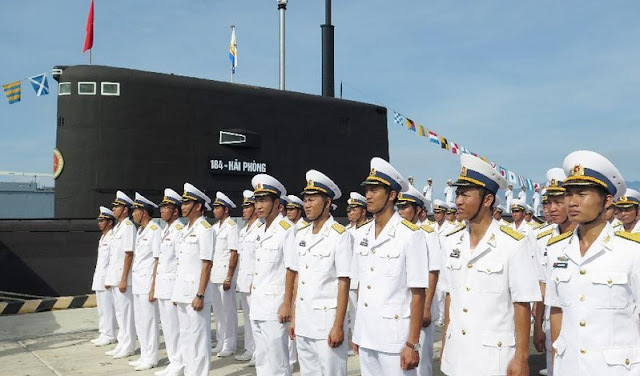 Vietnam on Saturday held a commissioning ceremony for two more Russian-made Kilo-class submarines at central Cam Ranh port, some 1,300 km south of capital Hanoi. 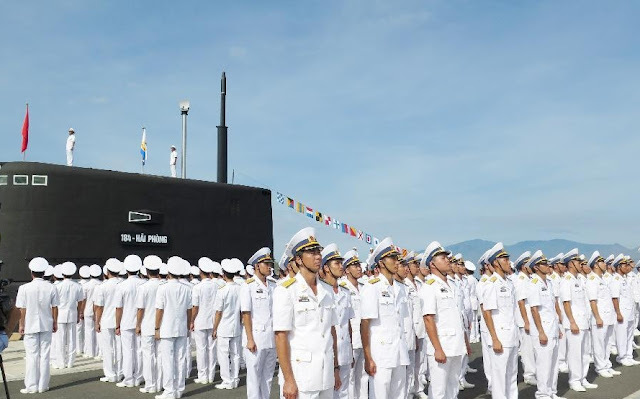 Speaking at the ceremony, Rear Admiral Pham Hoai Nam, commander of the Vietnam People's Navy, said these submarines will mark a new development of the navy in particular and the Vietnam People's Army in general, reported Vietnam's state-run news agency VNA. 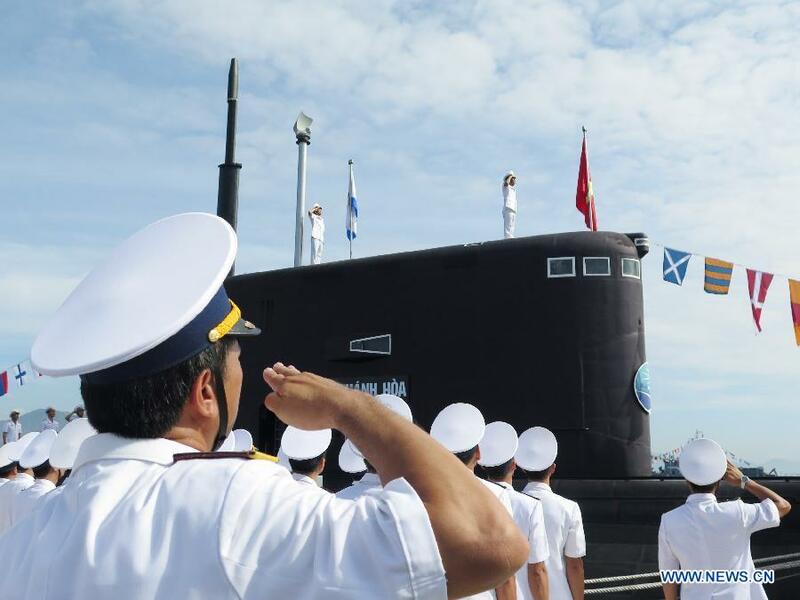 The two newly-received submarines, named after two Vietnamese coastal cities of Hai Phong and Khanh Hoa, are out of six 636 Kilo- class submarines that Vietnam ordered from Russia. Last year, Russia handed over the first two called Hanoi and Ho Chi Minh City submarines to Vietnam. The 636 Kilo-class submarines have an over 3,000-ton displacement, and are able to operate at a maximum depth of 300 meters and at a speed of 20 nautical miles per hour with over 50 crew members. They are said to be equipped with six 533 mm torpedo tubes, torpedoes and 3M-54 Klub submarine-launched anti-ship missile on board, according to VNA.